David married Mary Lou Ross in Woodville, Ohio in 1951, where they lived until retirement in 1983. After traveling for three years in an Airstream, they settled in the Mountains of Arizona until moving to Mountain Home in 1994. They have always enjoyed traveling, having visited all 50 states and all Canadian Providences. As a private pilot, they enjoyed many flying trips to Mexico and Central America with one trip thru the West Indies, South and Central America to return. After retirement, Dave became interested in Hunting. He has hunted in several western states and Canadian provinces plus a hunting safari to South Africa. David is survived by his wife Mary Lou of Mountain Home and two sisters: Ruth Roy of McComb, Ohio and Judith Elsner of Cottonwood, Arizona and several nephews. He is preceded in death by his parents. A Memorial Service will be 11 a.m., with visitation beginning at 10 a.m., Saturday, February 16, 2019 at Marsh & Marsteller Funeral Home, 201 W. Main Street, Woodville, with Rev. Merlin Jacobs officiating. Memorials may take the form of contributions to: The Luther Home of Mercy in Williston. Online condolences maybe shared at www.marshfuneralhomes.com. 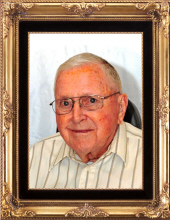 To send flowers or a remembrance gift to the family of David L. Duseberg, please visit our Tribute Store. Visitation will begin an hour prior to the service. Officiating will be Rev. Merlin Jacobs. There will be a bereavement luncheon served in the fellowship hall at Solomon Lutheran Church, immediately following the service at the funeral home. "Email Address" would like to share the life celebration of David L. Duseberg. Click on the "link" to go to share a favorite memory or leave a condolence message for the family.